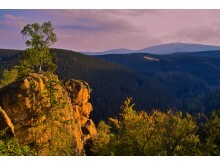 View to the Brocken - the highest mountain in the Harz, Germany. The National Park region is one of the most significant recreational areas in Central Europe. Mythical and wildly romantic: The mountain wilderness of the Harz National Park is home to more than 7,200 varieties of plants and animals. Some of these can be seen and experienced on a guided ranger tour through the natural forested landscape lying at the foot of the Brocken mountain, which towers some 1,141 metres overhead. Nature pure and simple: Hiking in the Harz National Park, Germany. 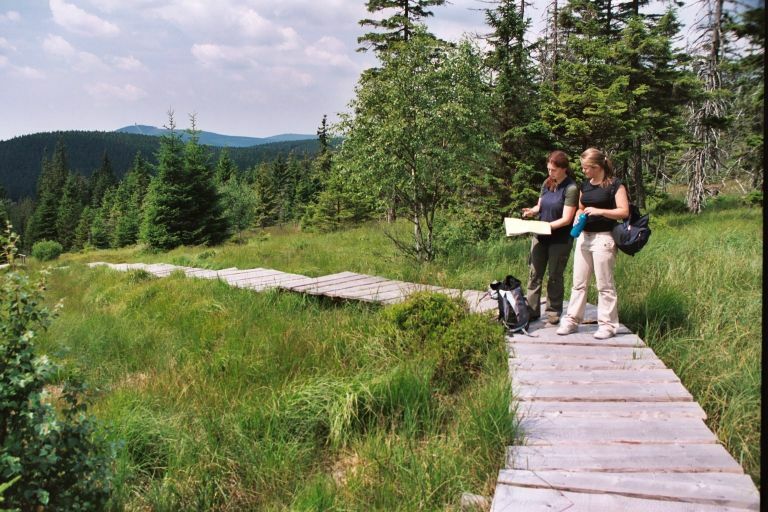 The starting point for the fascinating hikes led by National Park rangers is the Maritim Berghotel Braunlage, which is offering a special package of experiences for explorers of all ages. The special offer, “Fun for the grandchildren”, gives grandma, granddad and the grandchildren the chance to enjoy an exciting break together in the Harz Mountains. Grandchildren under the age of 12 receive free half-board accommodation when they share their grandparents’ room. Children aged between 13 and 17 are charged 80% of the package price. “Into the Harz” is another package that guarantees quality family time. A guided ranger tour makes the perfect addition to both packages. National Park rangers are committed to protecting indigenous plants and animals. On an exciting tour, children and young people will learn lots of interesting facts about the coniferous and deciduous forests, the majestic Brocken mountain and the diversity of the moorlands. 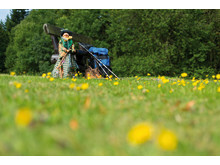 During the walk, there are plenty of explorers’ tips to help keep the little ones entertained. Families can admire unusual animals in viewing enclosures, such as the wily, nocturnal lynx. 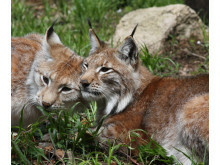 The return of the Lynx to the Harz Mountains, Germany: Originally, the lynx was found almost everywhere in Europe. As a rival of the human, it has been persecuted in the last centuries and eradicated in most parts of its original range. 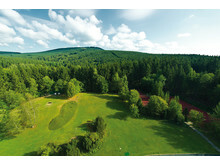 The Maritim Berghotel Braunlage is the ideal starting point for a wide range of excursions and walks. Conveniently situated right next to the hotel, visitors can take the Wurmberg cable car 972 metres up the mountain, for instance. 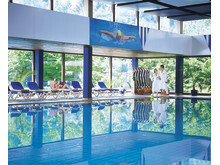 Families can really make the most of the 12 x 24 metre swimming pool and the children’s games room. The “Pfaffenstieg” restaurant, the old-English pub and the roof-garden café (open on Sundays), with its wonderful view of the green mountain forests, provide a range of gastronomic delights. For further information and reservations, call +49 (0)5520 805 0, email info.brl@maritim.de or go to www.maritim.com. For detailed information about guided ranger tours, email info@nationalpark-harz.de.